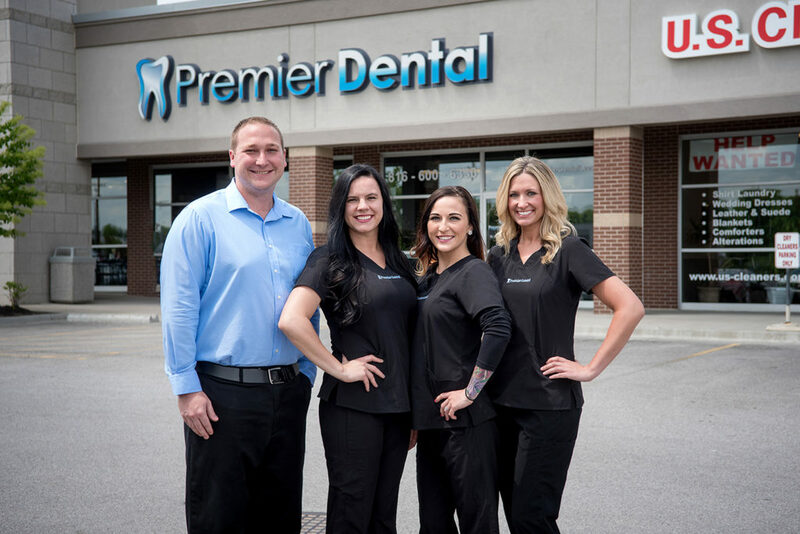 Welcome to Premier Dental, a brand new state-of-the art dental facility located in southeast Lee’s Summit, MO. Our friendly staff is committed to providing premium dental care in a comfortable and convenient setting. We enjoy treating your entire family as if it was our own including children celebrating their first birthday to grandparents looking to maintain a beautiful and healthy smile. Let our schedule work around yours with convenient early morning appointments, evening hours, and weekend emergency services. At Premier Dental, our personalized touch is revolutionizing the dental experience and will have you forgetting why you were ever “fearful” of the dentist. Our laid back atmosphere, gentle touch of Dr. Stephan D. Caye, and relaxing amenities will have you looking forward to your next visit. Our advanced technology, including digital x-rays and same-day crown machine, allows us to provide high quality care while saving you time and enhancing your comfort. We go out of our way to make sure that you enjoy the Premier Dental experience including verifying insurance benefits on your behalf before you walk in the door, a beverage station upon arrival, a kid’s zone with tablets to entertain the children, televisions in every room accompanied with noise canceling headphones, and complimentary wifi internet. Let us show you the Premier Dental experience by scheduling an appointment today. Dr. Stephan Caye was born and raised in southeast Lee’s Summit, MO. After graduating from Lee’s Summit High School, he used his Board of Governor’s academic scholarship to attain a Bachelor’s of Science in Cell and Molecular Biology from Missouri State University. After his undergraduate studies, he received his Doctor of Dental Surgery Degree at UMKC’s School of Dentistry with an emphasis on cosmetic dentistry and endodontics. He takes great pride in returning to his hometown and helping his community. Dr. Caye enjoys spending time with his growing family. He has been happily married since 2010 to his wife, Sarah. They met in Springfield while both were attending Missouri State University. Their family is now complete with two young boys named Trevin and Calvin. Dr. Caye enjoys spending time at the lake with his family. He also enjoys playing soccer and golf with his father and older brother. He is an all-around Kansas City sports fan with his favorite professional teams being the Chiefs, Royals, and Sporting Kansas City. A fun fact about Dr. Caye is that his French heritage led him to propose to his wife on the Eiffel Tower while vacationing in Paris.